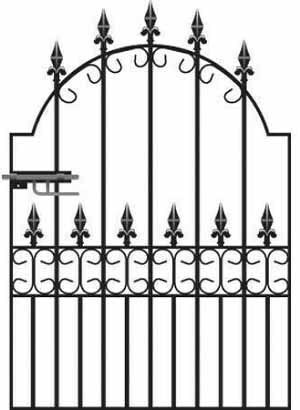 Suitable for a range of applications this premium quality 4ft high wrought iron style metal garden gate is strong, secure and excellent value for money. Manufactured using high grade steel the Royal Premier wrought iron style garden gate is simply amazing. Suitable for many residential settings around the home such as front entrances, side access points and pathways, the gates have a timeless design that includes an attractive arched top that provides visual appeal whilst the sturdy framework ensures security and privacy. Traditional wrought iron styling at its finest. 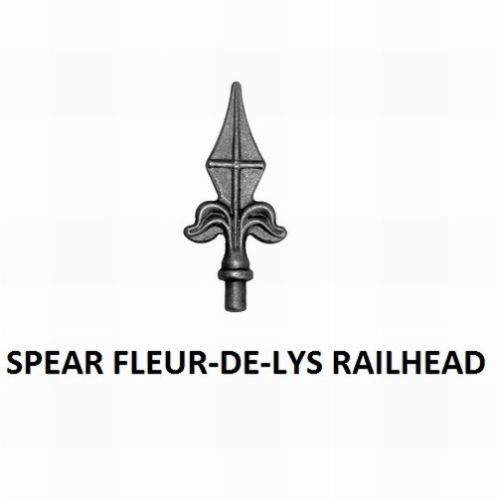 Fleur de lys finials and decorative scrolls create visual appeal. Manufactured by hand in the UK. 40mm x 10mm framework and 16mm infill bars. Wrought iron style gates are supplied with adjustable hinges and a sliding latch. Designed to be RIGHT HAND hanging (as viewed from the road). Royal Premier garden gates are painted with black primer. Prior to installation they must be finished with a coat of high quality exterior grade paint. 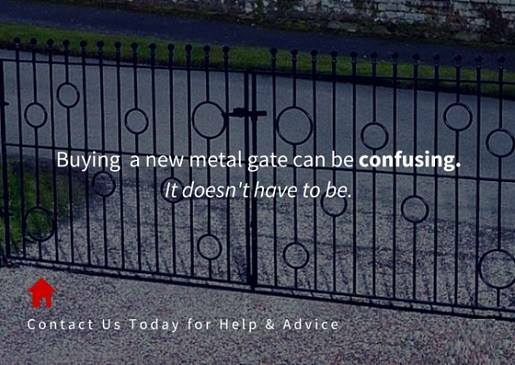 Do you need help or advice selecting the correct size metal garden gate? 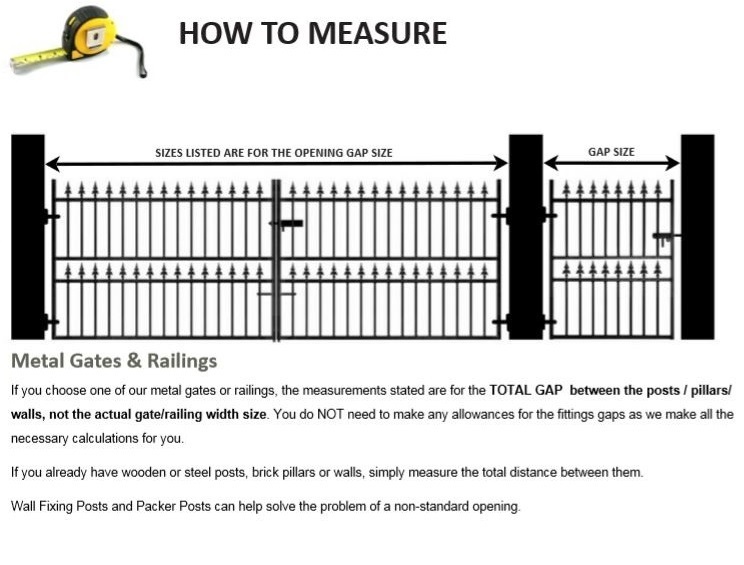 Please contact us, take a look at or ordering information page or read the guide on measuring the opening. We offer a range of extras and accessories to complement the gate including the following items. To find out more details about any of the above items please call now on 0844 804 5577, email sales@gardengatesdirect.co.uk or fill in our enquiry form and we will be on hand to offer support and discuss your options.